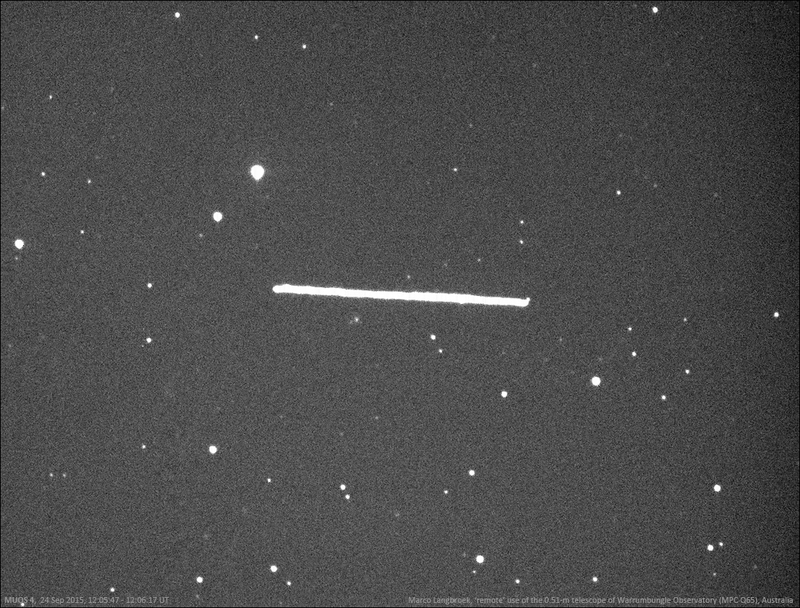 Over the past year I have frequently reported on my observations of very distant space junk: objects orbiting at trans-Lunar distance. 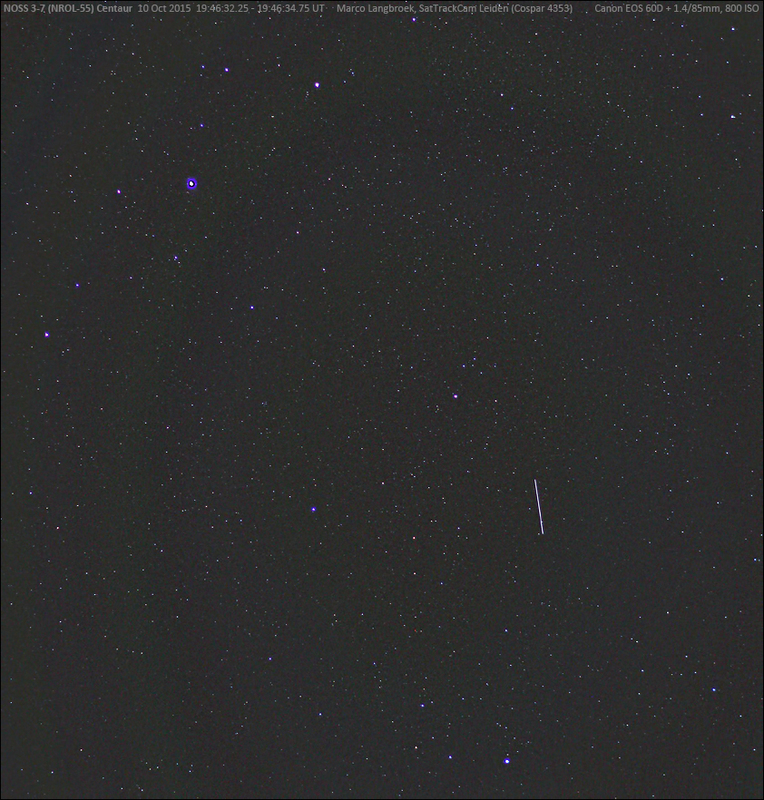 One of these objects, 2013-070B, the CZ-3C upper stage of the Chinese Chang'e 3 Lunar mission from 2013, is now showing something interesting. 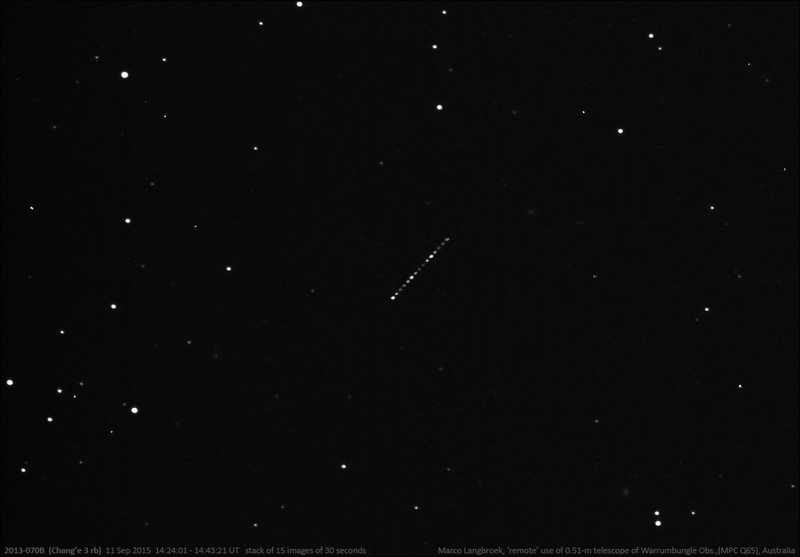 2013-070B is tumbling and shows a very slow flash cycle (see various previous posts). 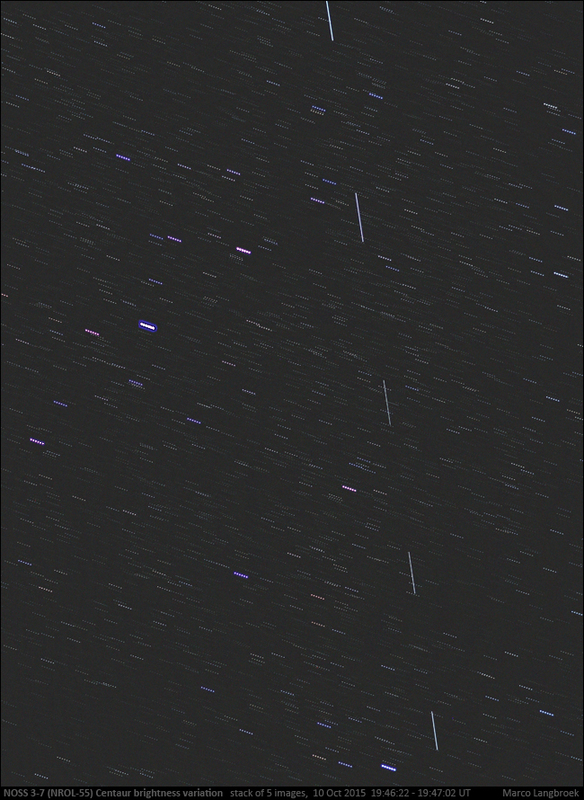 Observations during the summer months of 2015, up to 14 September 2015, suggested a stable flash period of about 423 seconds. 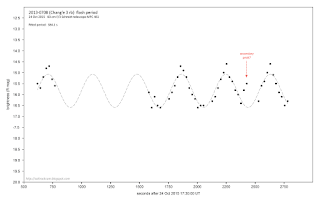 The flash period had suddenly dropped, to 384 seconds on 24 October 2015, and has further dropped to 364 seconds on 6 December 2015, based on a series of images I obtained with the help of Peter Starr from Warrumbungle Observatory (MPC Q65) in Australia. Such a sudden drop from a stable flash period to a shorter flash period can have a number of causes. 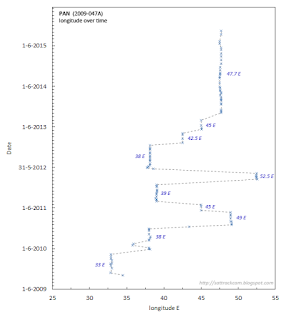 A close approach to the Moon can result in a tumble periodicity change: but 2013-070B did not experience such a close approach during the relevant weeks, so that is not an explanation. The most likely explanation is that the booster developed a fuel leak. Rocket stages always contain some remnant fuel in their tanks. Rocket fuel is often quite corrosive and slowly eats its way through the metal of the tank and booster. 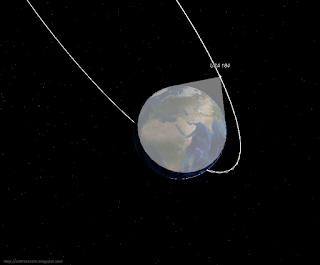 In addition, a meteoroid impact can puncture the rocket stage and tanks. When one of these two things happen, fuel vapor escapes from the rocket stage, and acts as a mini rocket engine, giving the object some extra momentum. This can either speed up or slow down he tumbling speed of the object. 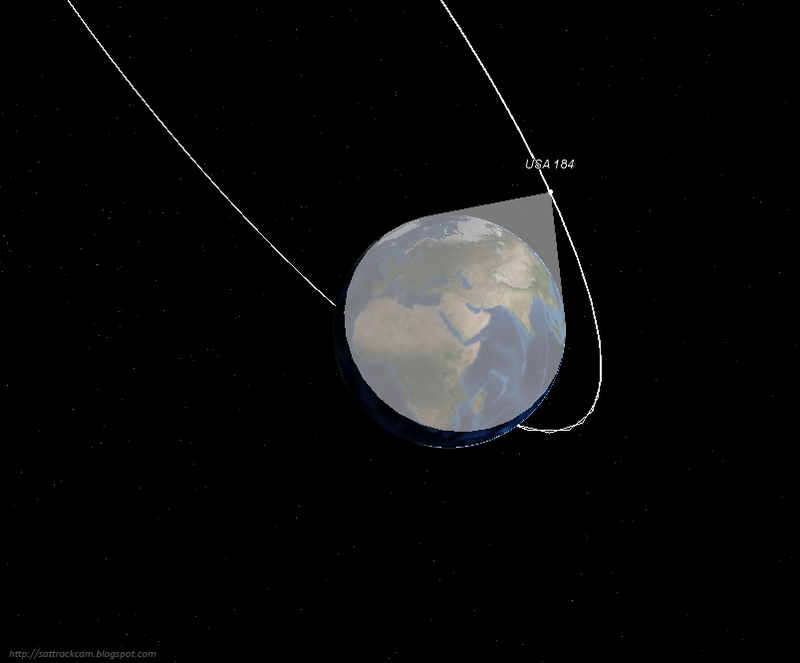 We have seen this happen a number of times with rocket stages in Low Earth Orbit as well, and there is no reason why this could not happen to a rocket stage in a trans-Lunar orbit. 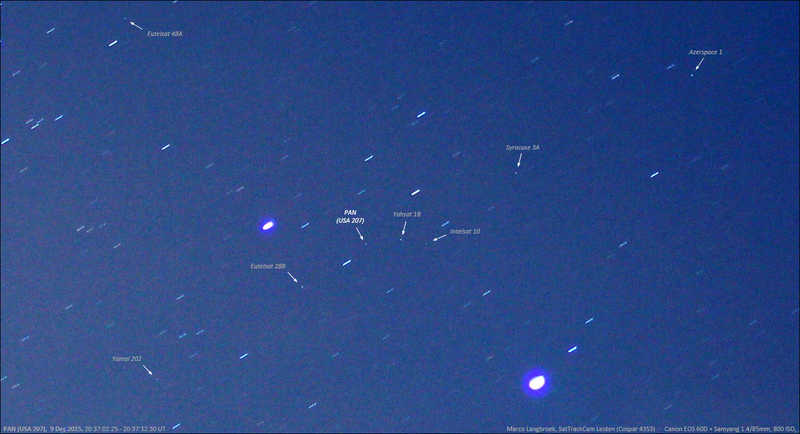 Last week saw some clear evenings, and I used one of them to image some geostationary satellites. 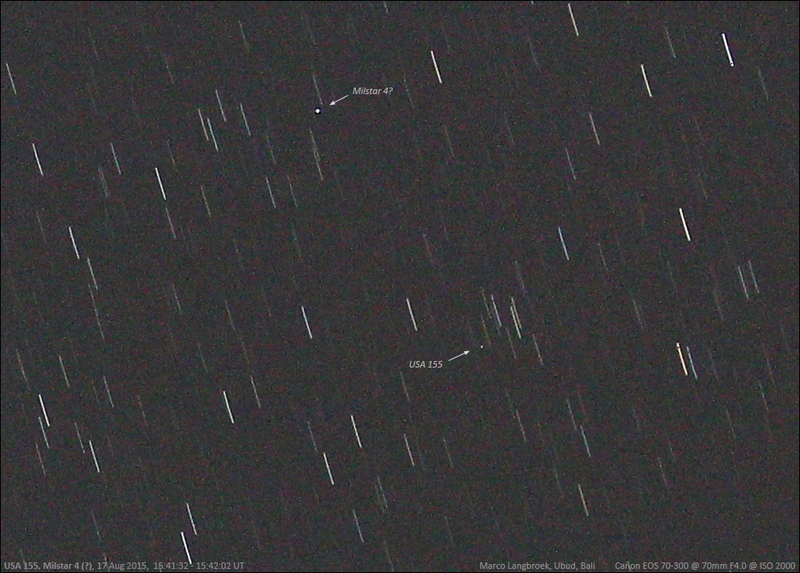 It concerned "the usual suspects": MENTOR's, MERCURY's and the enigmatic, probably SIGINT satellite PAN (2009-047A). The latter satellite has not been moved for quite a while now: since the end of 2013 it is at longitude 47.7 E, parked close to a number of commercial comsats. In the past it was frequently relocated, taking positions next to various commercial COMSATS. 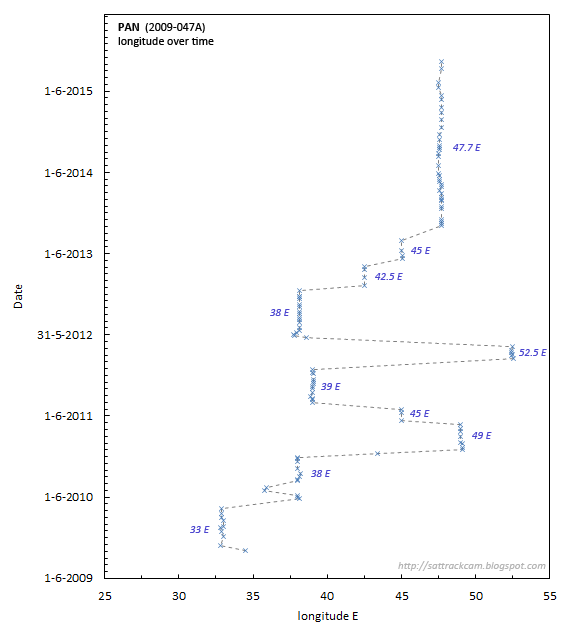 In four years time between 2009-2013, it moved at least 9 times (which is a lot) to various longitudes between 33 E and 52.5 E.
The diagram below charts these frequent movements of PAN. Relocations typically took place about once every 6 months. Late 2013, they stopped. 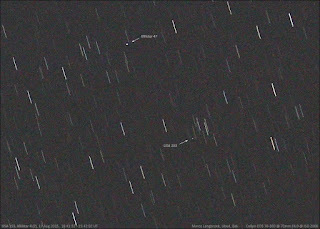 PAN however must still be operational, as active station-keeping is necessary for it to stay at 47.7 E.
Four other SIGINT satellites and a military comsat were imaged as well: Mentor 4 (2009-001A) and Mentor 6 (2012-034A), Mercury 1 (1994-054A) and Mercury 2 (1996-026A), and the military comsat Milstar 5 (2002-001A). 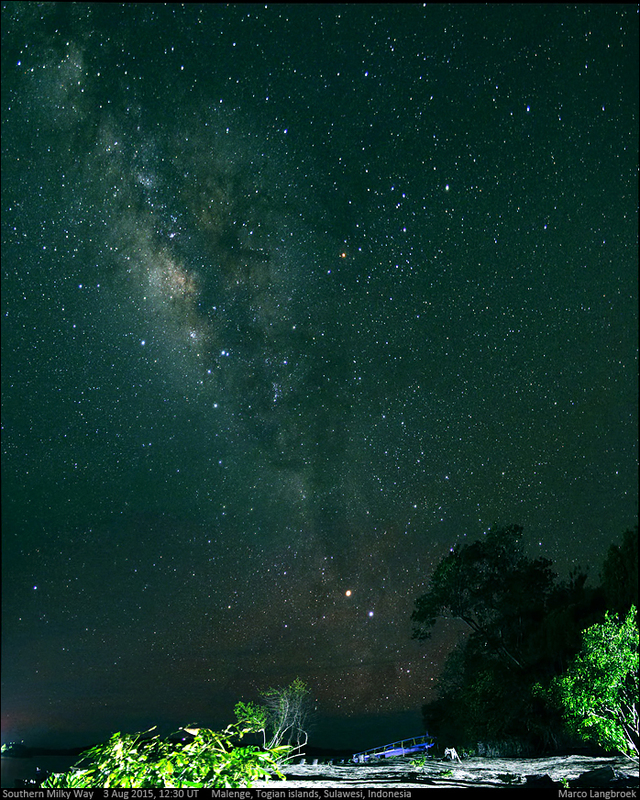 Using the remote telescope at Warrumbungle (MPC Q65) in Australia, I recently (4 December 2015) also checked-up on the recently launched US Navy COMSAT MUOS 4 (2015-044A). It is still at its check-out location over the Pacific at longitude 172 W, but some recent press statements suggest check-out has been successfully completed, and it will be moved to its operational position at longitude 75 E near India in the spring of 2016. 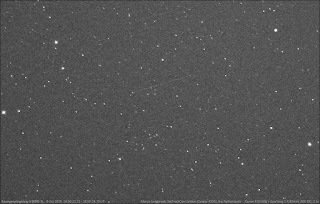 The animated GIF above was made from images which I took just a few hours ago with the 0.61-m Cassegrain telescope of MPC G68 Sierra Stars Observatory in Markleeville, California. 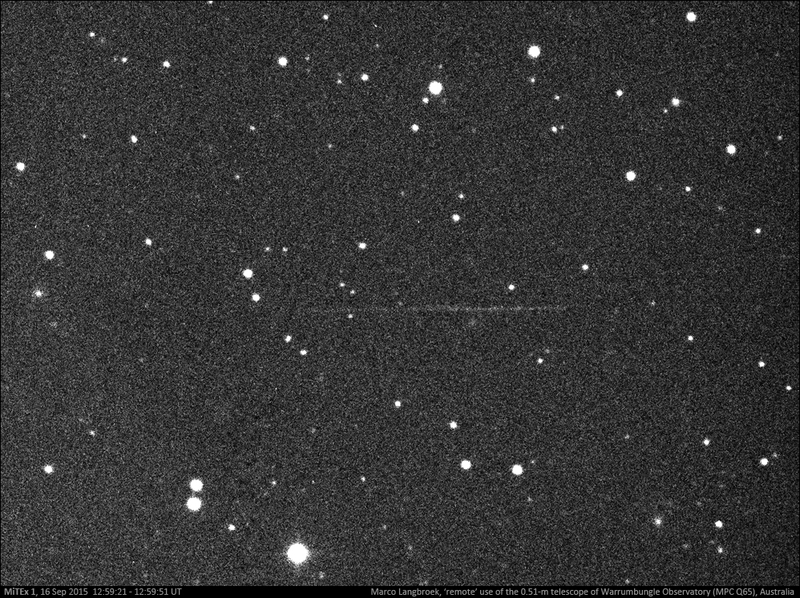 The moving object is WT1190F, discovered on October 3 this year by the Catalina Sky Survey. 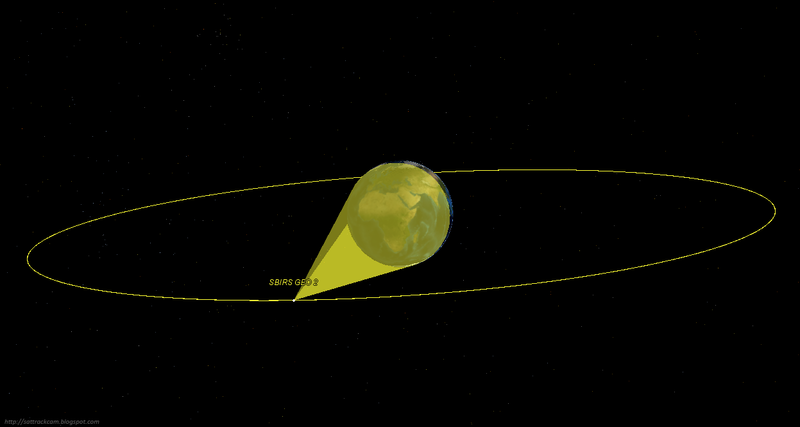 This small peculiar object will impact in a few hours from now (near 6:18 UT, Friday 13 November 2015) just south of Sri Lanka. 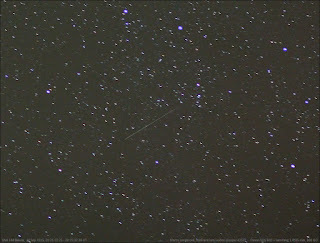 It is an unusual object that is not a Near Earth Asteroid but almost certainly a small (1-2 meter) artificial object. It is moving in the Earth-Moon system (i.e. in a very elliptic orbit around earth) and its orbit is under influence of Solar Radiation Pressure, which shows that it is very light weight for its size. This fact, and the geocentric rather than Heliocentric orbit with apogee at twice the distance to the Moon, suggests it is some piece of hardware from a past Lunar mission. It is not clear from which Lunar mission this object is a relic: it could be from one of the American missions, but also Russian or Chinese. 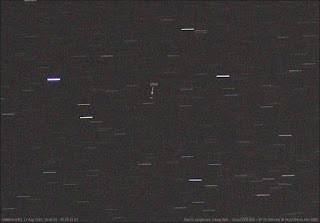 The object in question turns out to have been sporadically observed since 2009, as it is probably the same object earlier designated 9U01FF6 in 2009 and UDA34A3 and UW8551D in 2013. 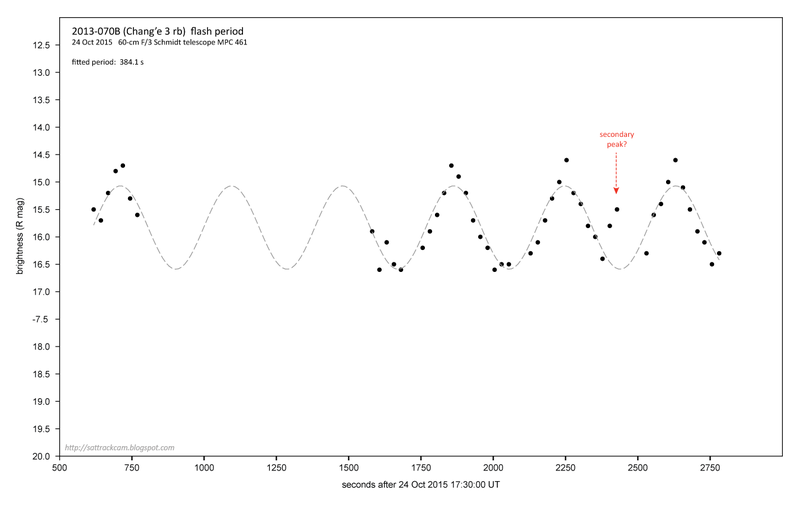 Shortly after its (re-) discovery on October 3, Bill Gray noted that the orbit yielded impact solutions on November 13 near 6:18 UT. The predicted impact point is over the Indian Ocean, just south of Sri Lanka. Bill Gray has put up a FAQ for this object with maps of the orbit and impact location here. As this is a small, 1-2 meter sized and lightweight object, the impact is harmless. It will burn up in the atmosphere and likely nothing will reach the water surface. 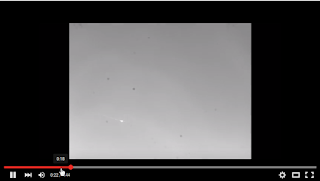 It provides scientists with a good opportunity though to observe what happens during a small asteroid impact, as the speed and entry angle of this object is quite similar (see also the project page here). 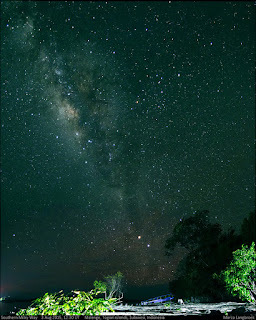 The astrometry obtained from my images makes, along with data by many other observers, a modest contribution to establishing the impact point and time as good as possible. 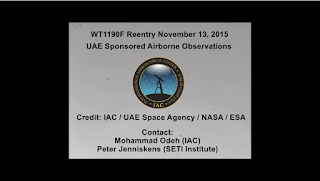 1st UPDATE, 13 Nov 2015, 09 UT: WT1190F is now toast for a few hours. South Sri Lanka seems to have been clouded out, but there are reports on Twitter of sonic booms from the re-entry heard in Sri Lanka. 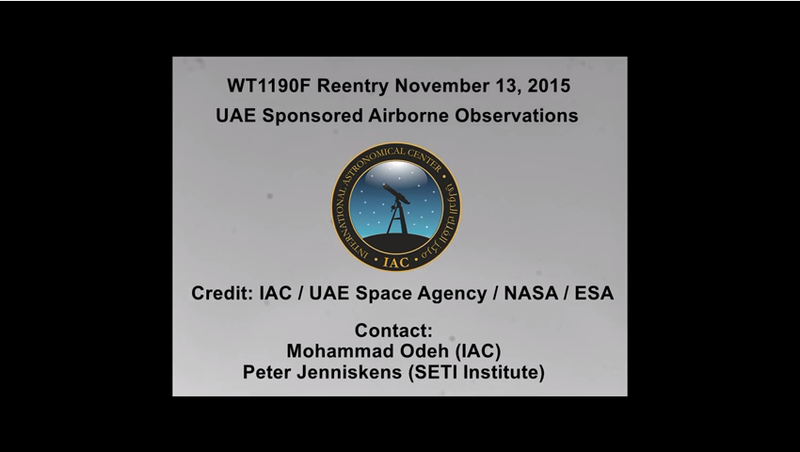 In response to some of the comments, I want to point out that WT1190F is/was not the only artificial object in a trans-Lunar orbit which we were/are tracking. 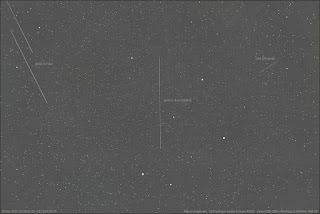 Here you can find an earlier post (out of several) on tracking 2010-050B and 2013-070B, two rocket boosters in trans-Lunar orbits from the Chinese Chang'e 2 and Chang'e 3 Lunar missions. Yesterday I posted (in the context of what appears to refer to SBIRS detections of the recent aircraft crash in the Sinai) on lingering questions with regard to potential US military satellite data on the shootdown of flight MH17 over east Ukraine in July 2014. I blogged about this a year ago too. Yesterdays recapitulation was timely in many ways, as yesterday afternoon saw a special hearing between Dutch Parliament members and the Dutch Safety Board (DSB), the agency which investigated the tragedy. The latter published its report on their finding in October, leading to yesterday's special Parliament hearing. 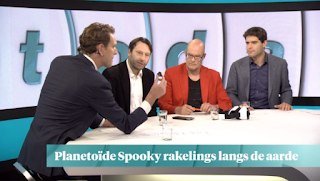 Several Dutch MP's questioned the DSB representatives about what they perceive as ambiguities and missing information in the report. 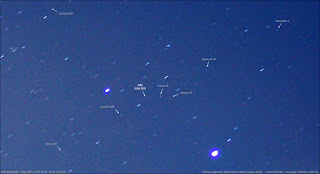 Among them, potential satellite data. 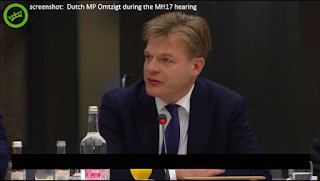 Dutch MP Pieter Omtzigt especially focussed on potential US military satellite data (including SBIRS data) in his questions, partially basing his information on this very blog. For those of you who understand Dutch, the most relevant of his questions pertaining to satellite data start at 10:30 in the video snippet at this link. For truth finding, these data are extremely important. They are likely much less ambiguous than the reconstructions from the missile impact damage to the aircraft on which the DSB report is basing the reconstructed launch location of the missile. As a Dutch citizen, the country that lost 198 citizens in the tragedy, I sincerely hope that the US government does the right thing and will eventually release enough of these data to confirm where the missile that killed so many innocent men, women and children was launched from. That would be the only ethical and humane thing to do. In a democracy, especially where truth finding is concerned, some things are more important than upholding secrecy, certainly in connection to such a terrible tragedy as this involving the killing of such a large number of citizens of a long time US ally. On 31 October 2015 near 4:13 UTC, Kogalymavia Flight 9268, a Russian commercial flight by airliner Metrojet, crashed in the Egyptian Sinai desert, tragically killing all 224 people on board. NBC News now reports that according to a US "senior defense official", around the time of this tragedy, a heat signal has been detected over the Sinai by "an American infrared satellite". According to NBC News, the heat signal detection points to an explosion (either mid-air or when the aircraft hit the ground), and the quoted official reportedly said that there is "no indication" that a surface-to-air missile hit the aircraft. The satellite system in question which detected the heat signal is most likely the classified SBIRS (Space-Based InfraRed System), which I discussed before in the context of the shootdown of Malaysian Airlines flight MH17 over the eastern Ukraine a year ago. It is one of two US military systems (there is the older DSP now being replaced by SBIRS) meant for the early detection of (intercontinental) missile launches. 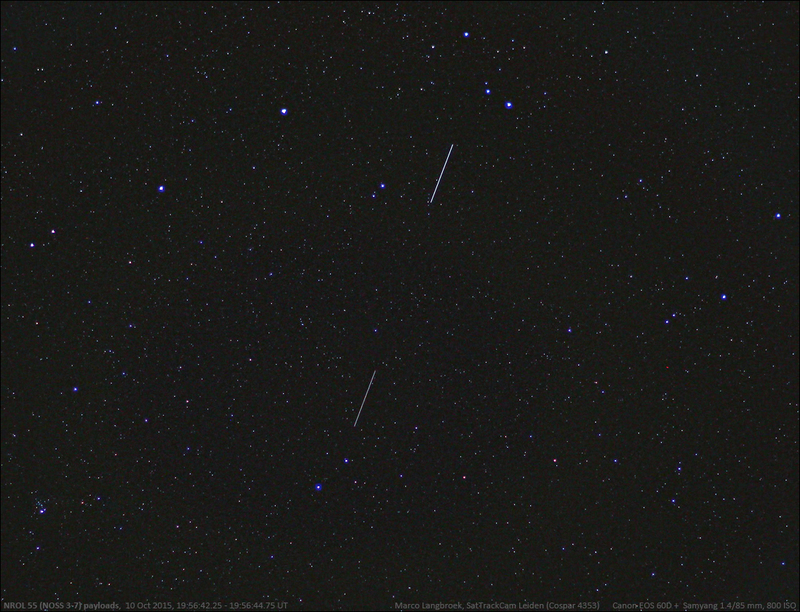 These satellites look for the infrared (heat) signature of such launches. For more details see my earlier post on MH17, and this detailed information sheet by US Defense itself available on the web. 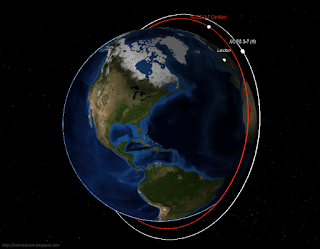 After reading NBC's claim of a satellite detection of this latest aircraft tragedy, I checked which of the SBIRS satellites would have had coverage of the area in question at 31 October 2015, 4:13 UT. Two SBIRS satellites had excellent coverage: the geostationary SBIRS GEO 2 (2013-011A) satellite at longitude 20 E, and the piggyback SBIRS package on the TRUMPET-FO satellite USA 184 (2006-027A) in a Highly Elliptical Orbit (HEO). The apparent quick confirmation of a SBIRS detection of the Sinai crash reported by NBC News not only shows the capabilities of the SBIRS system, but also begs the question why such information is still lacking with regard to the shootdown of MH17 over the Ukraine a year ago. In my country, which lost 192 citizens in that tragedy, the downing of MH17 and the question of who is responsible for it are still a hot topic, newly fueled by the recent release of the report by the Dutch Safety Board which shows it was a BUK system that downed the aircraft. 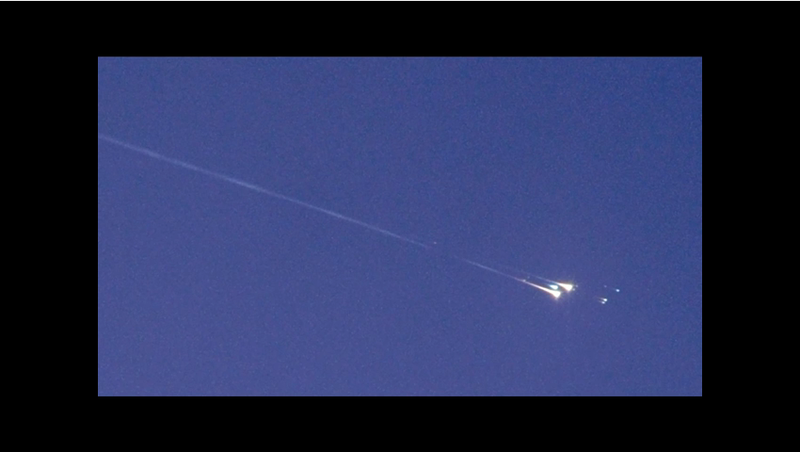 There are tantalizing clues that SBIRS did detect the 2014 shootdown over the Ukraine: the day after the MH17 tragedy unfolded, a "senior US official" reportedly told CNN that a US military system "saw a heat signature at the time the airliner was hit". This is a very similar statement as the one now reported in connection to the Sinai crash. 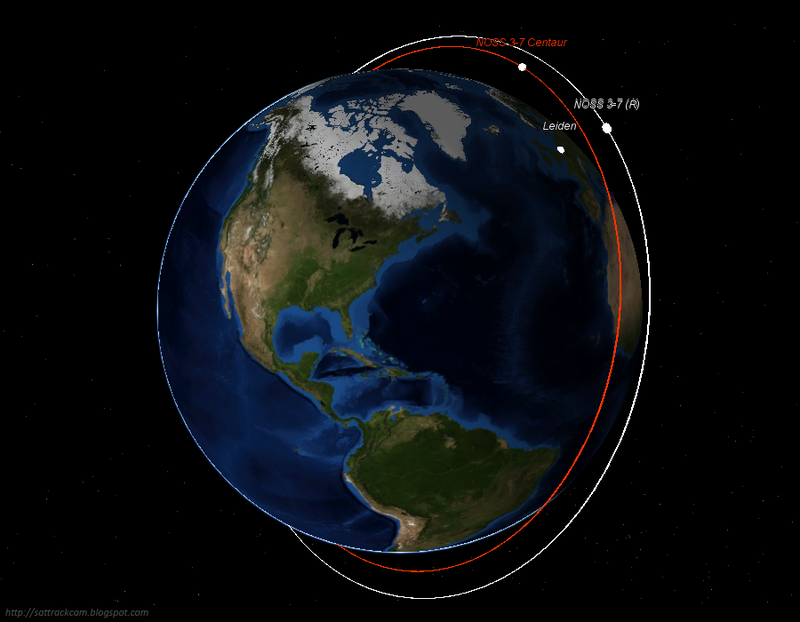 At the time, I showed that three SBIRS satellites (the same two as indicated above, plus SBIRS GEO 1) had coverage of the Ukraine crash location. Following that CNN report, this apparent infrared detection has gone into oblivion: there is no mention of it for example in the report of the Dutch Safety Board: the reconstruction of the area where the missile could have been launched is completely based on modelling from the damage pattern to the aircraft's cockpit. I find it hard to believe, certainly given the anonymous "senior US official" quote to CNN directly after the disaster, that there are no SBIRS detections of the MH17 shootdown. NATO interest in the area was high at that time, after all this was a quickly escalating conflict right at the border of NATO's and the European Union's influence sphere. The general perception was (and is) that Russia, increasingly seen as the new/old enemy of (east-) European freedom, is trying to expand it's own influence sphere into Europe, and is muscle-flexing towards the east European NATO members. Missiles should have been a natural point of interest to NATO, as a Ukrainian military aircraft had been shot down at high altitude in the days before the disaster with what must have been a state-of-the-art Surface-to-Air system, something which should be of concern to NATO, especially given a US military strategy that heavily relies on Air Supremacy. To me it seems that it would be very odd if US military systems like SBIRS were not watching the area. In a Twitter conversation, Rainer Kresken rightfully points at the weather conditions over the relevant part of the Ukraine during the MH17 tragedy. Cloud cover is detrimental to IR detections. But a SAM would still be detectable once it had cleared the cloud cover. According to the report of the Dutch Safety Board, the cloudbase present in the general area around the time of the crash was scattered and between 1000 and 5000 feet (300 meter to 1.5 km) with occasional peaks of the top of the cloud deck to FL350 (350 000 35 000 feet, 10.7 km). These latter were localized thunderstorms. Airfields in the vicinity report scattered clouds at 3300 feet (1 km) and a broken cloud cover at higher altitude, 10000 to 20000 feet (3 to 6 km). 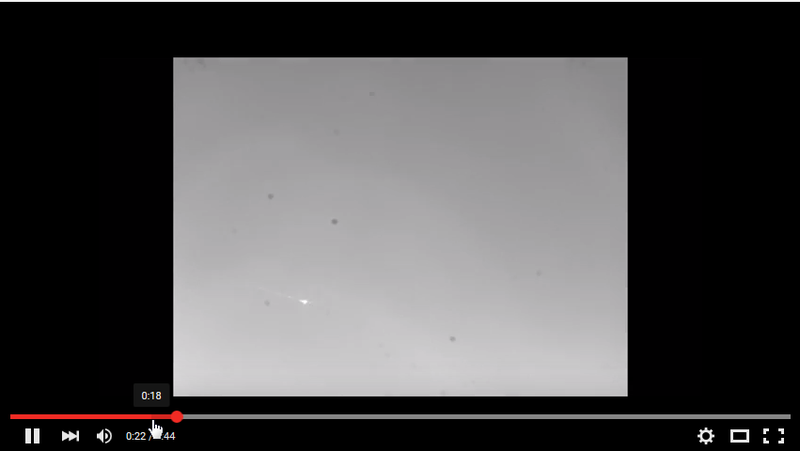 This all suggests that a missile would have been visible once clearing 1 km altitude, unless it was cruising through a cumulus tower from a thunderstorm. Most relevant to me is still that tantalizing CNN quote of a "senior US official" reporting a heat signal, suggesting that there was a SBIRS detection of the missile above the cloud cover. 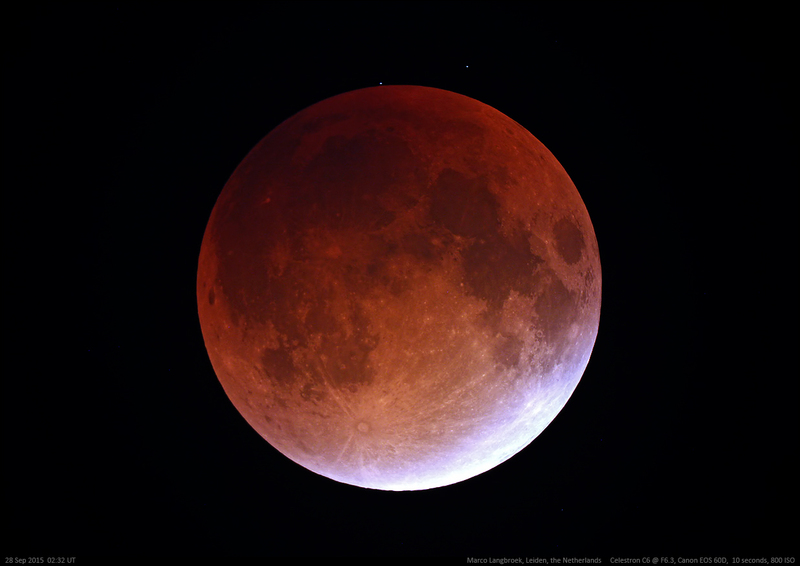 Leiden had clear skies during the night of September 27-28, which meant a good view of the total Lunar Eclipse in the early morning of September 28. 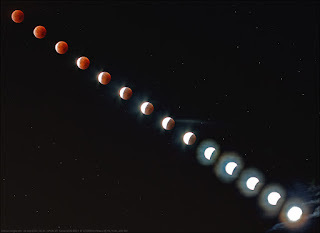 For me, this eclipse occurred mostly at rooftop level, with the moon sinking from 34 degrees elevation at first contact with the umbra, to 11 degrees elevation at last contact with the umbra. During mid-totality, at 2:47 UT (4:47 am local time), the moon was at 21 degrees elevation, just disappearing behind the rooftops for me. After setting up my Celestron C6, I could use the telescope until about 2:40 UT, when the moon disappeared behind the rooftops. 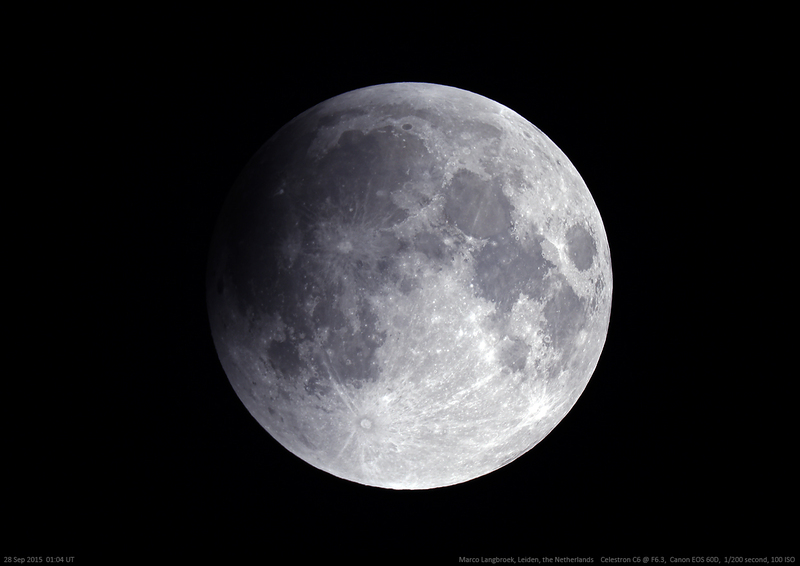 I then went to my girlfriend's appartment, which (from the 2nd floor) has a good view Westwards, and continued photography with simpler means during the second half of the eclipse. There I shot a series of images with the Canon EOS 60D and the EF 2.5/50 mm Macro lens on a tripod. 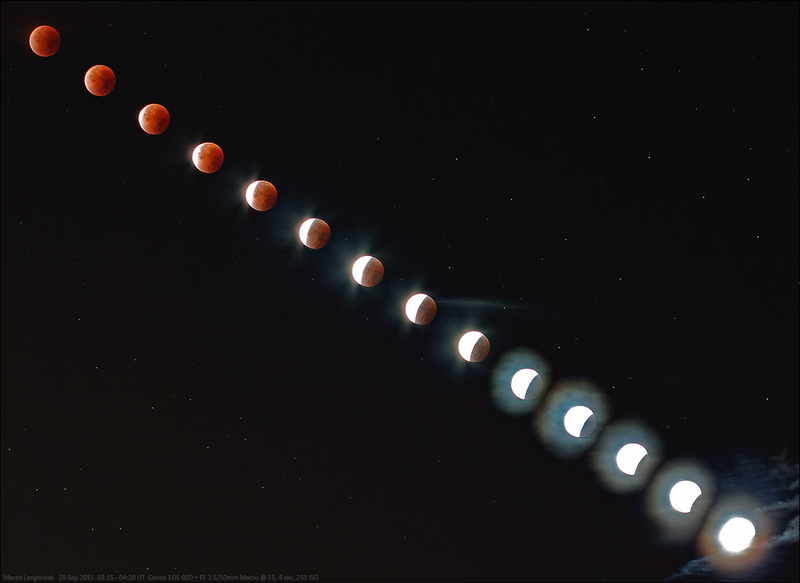 14 of these images, shot in 5-minute intervals, where then stacked to create the image above, which shows the second half of the eclipse from 03:15 UT to 04:20 UT, i.e. from late totality until just before last contact with the umbra. 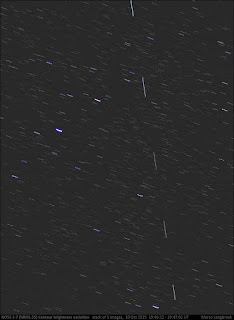 The lens was set at F5, camera on 250 ISO, and exposure times were 4 seconds at the start of the series, and 0.5 seconds at the end. 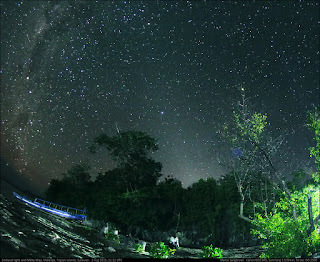 It shows that you don't need a telescope to get nice pictures. This was a rather dark eclipse, to my estimate at the edge of L1/L2 on the Danjon Scale. The best moment for me was just before totality, when the moon sat just above the roof as a dark red-purple globe with a bright crescent on the lower edge: it looked a bit like Mars with a polar cap this way. 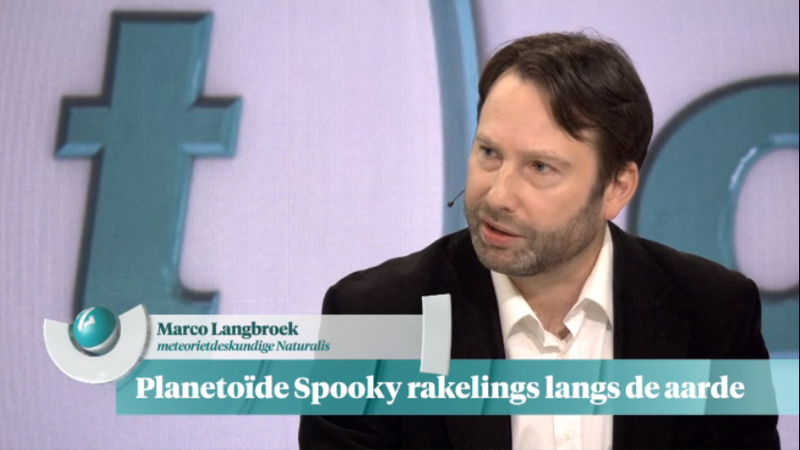 And by the way: NO! I refuse to go along with that "Super Blood Moon" nonsense. Puh-Lease!!!! 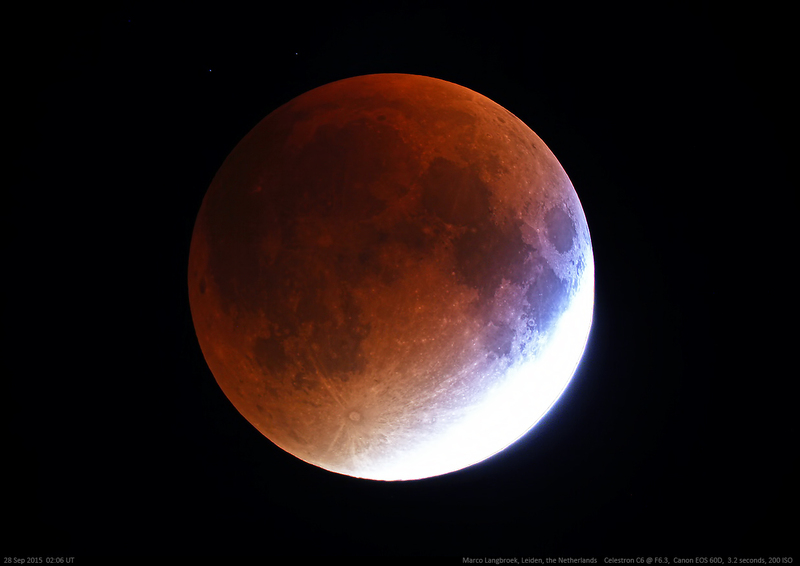 The "Blood Moon" denomer is actually of very questionable origin. 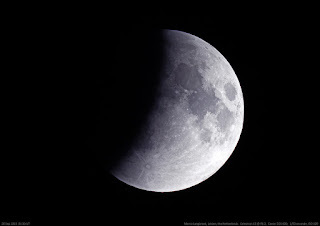 It is not (contrary to what some people seem to think) an old folkloristic name for a Lunar eclipse, but is a denomer coined only a few years ago by two American Christian religious doomsday fanatics, who prophecied that the tetrad (series of four lunar eclipses each six months apart) starting with the eclipse of April 15, 2014 and ending with this eclipse of September 28, 2015, were a sign of the End of Times being near. They got their inspiration for this name from a sentence in the Bible, in the Book of Revelations. 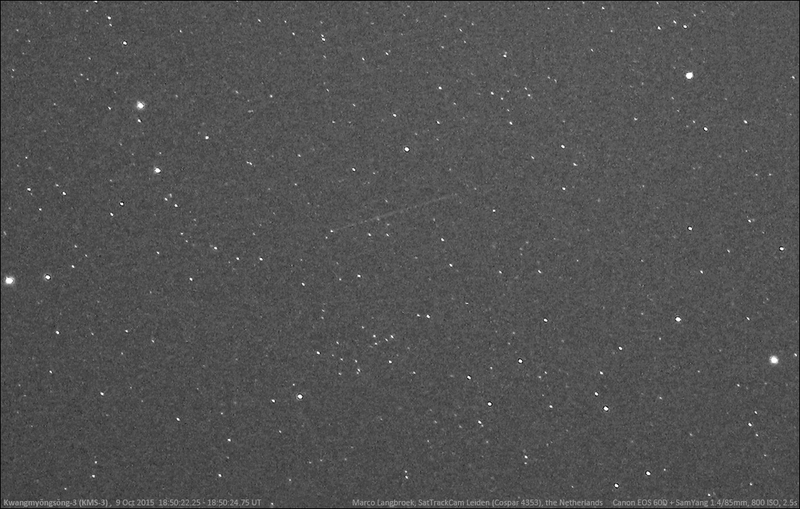 On September 16, I was using the Warrumbungle 0.51-m telescope in Australia to track MiTEx. 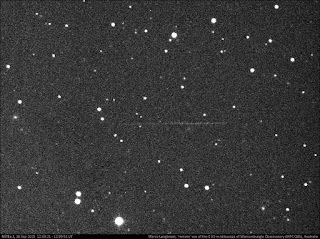 Indeed, MiTEx 1 (2006-024A) was imaged as a faint object close to the expected location (image above). 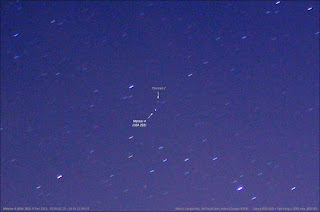 But about 5 degrees Northeast of MiTEx 1, I imaged another, very bright object (see image below) at approximately 172 W. It was too bright to be MiTEx 2 and didn't fit any known object. 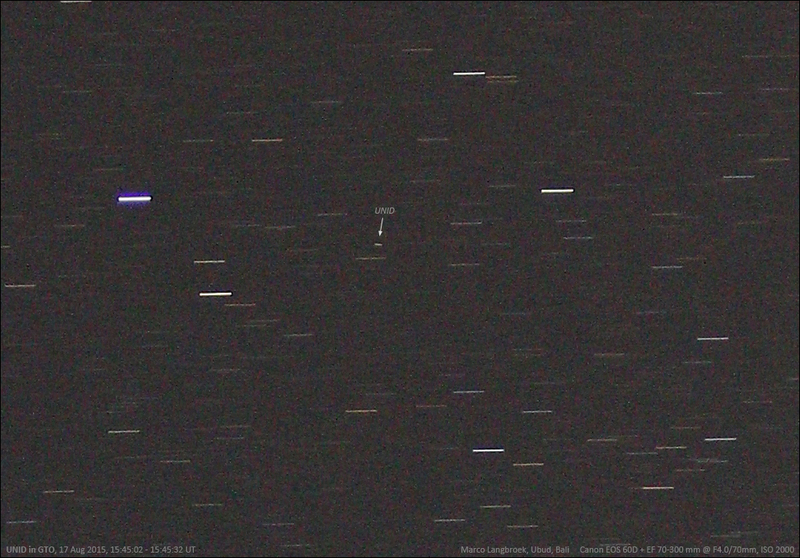 This UNID turned out to be the newly launched classified military COMSAT, MUOS 4 (2015-044A). MUOS 4 was launched from Cape Canaveral with an Atlas V rocket two weeks earlier, on 2 September 2015. 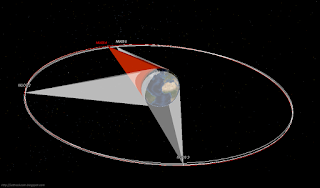 It is the fourth satellite in the Mobile User Objective System (MUOS) system of Geosynchronous narrowband communication satellites, the first of which was launched in 2012. This system of military COMSAT is to provide communication facilities to 'mobile users': i.e. military personel in non-fixed positions such as ships, aircraft, tanks and vehicles or on foot. 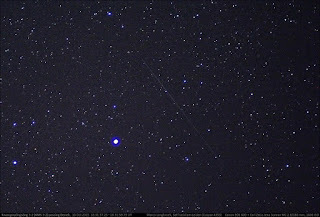 It is a replacement for the aging UFO constellation of COMSAT. 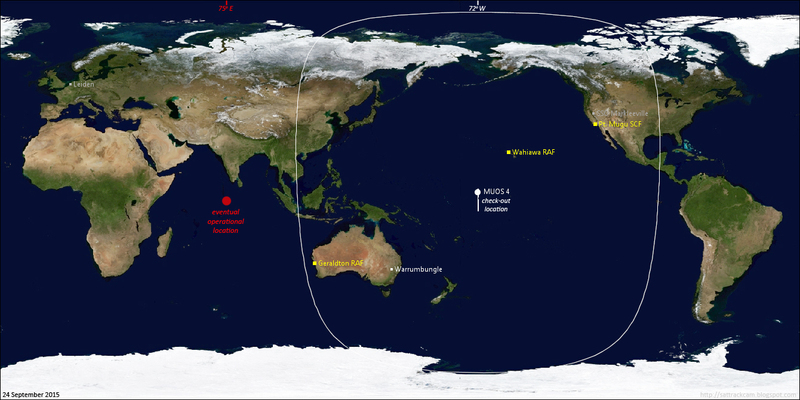 The map and table above show the current locations of MUOS 1, 2 and 3 (from Mike McCant's INTTLES file). The positions agree well with the slots depicted in the mentioned publication. (and yeah: if you think it is a tad silly that these orbits are 'classified' while the intended orbit slots have been published in a publicly available publication, you are of course right). The yellow dots in the map are ground facilities related to the MUOS system. 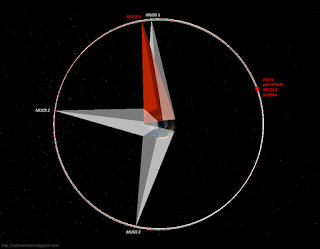 The MUOS constellation is designed such that each satellite has at least two Radio Acces Facilities (RAF) in range. 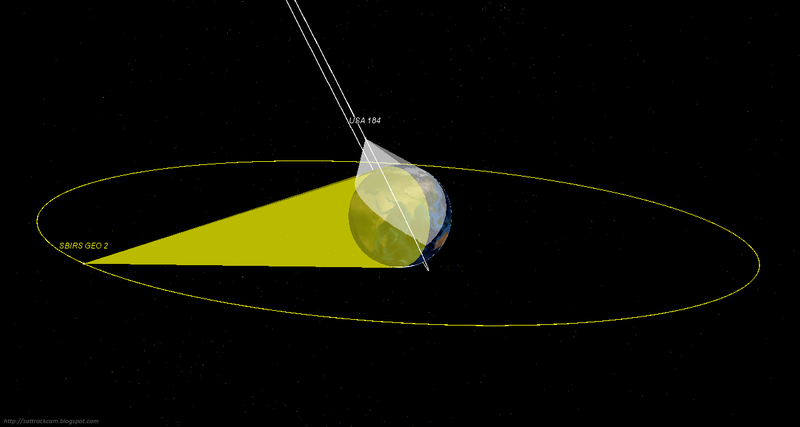 My additional observations on September 24 (see image above) show that MUOS 4 is stationary at 172 W, as depicted in the map below. 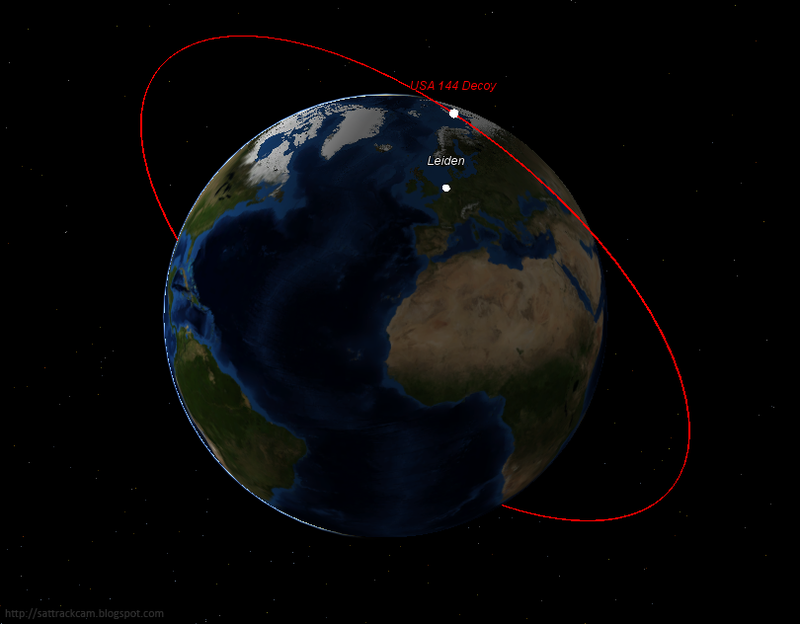 An approximate orbit for the satellite can be found here. 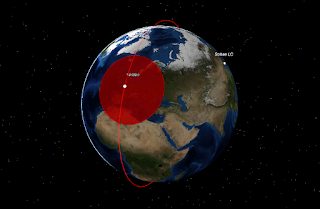 As MUOS 4 appears intended for an operational slot at longitude 75 E over the Indian Ocean (red dot in the map above), this means the current location at 172 W is not the intended operational longitude. Rather, it is a temporary initial check-out location. 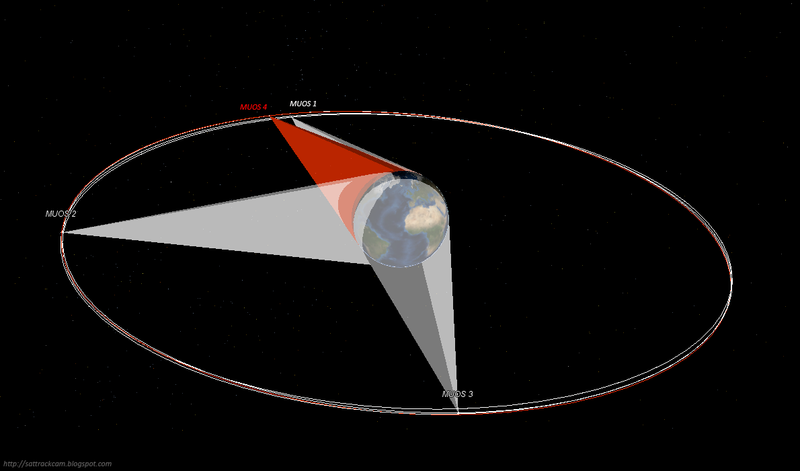 Once check-out is completed (and this might take several weeks), it will probably be moved to longitude 75 E.
This check-out position at 172 W has been used for the MUOS satellites before, according to Ted Molczan (priv.com). 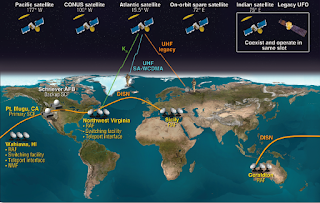 It is in range of three MUOS ground facilities: two Radio Acces Facilities (RAF) at Wahiawa in Hawaii and (although barely) Geraldton in Australia, and the primary Satellite Control Facility (SCF) in Pt. Mugu, California. 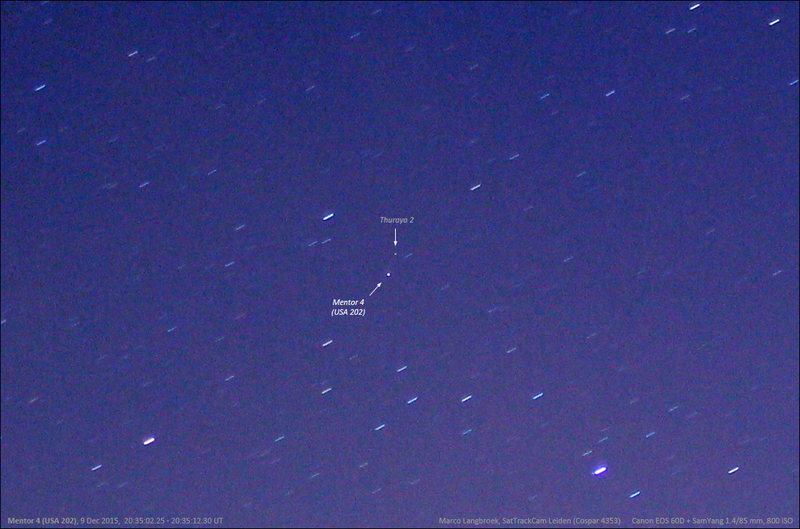 Yesterday evening I did some observations on the two evening KH-11 Keyholes (USA 186 and USA 245). Following that, I targeted the USA 144 decoy (1999-028C), an enigmatic object from the launch of the stealth satellite Misty 2 in 1999. 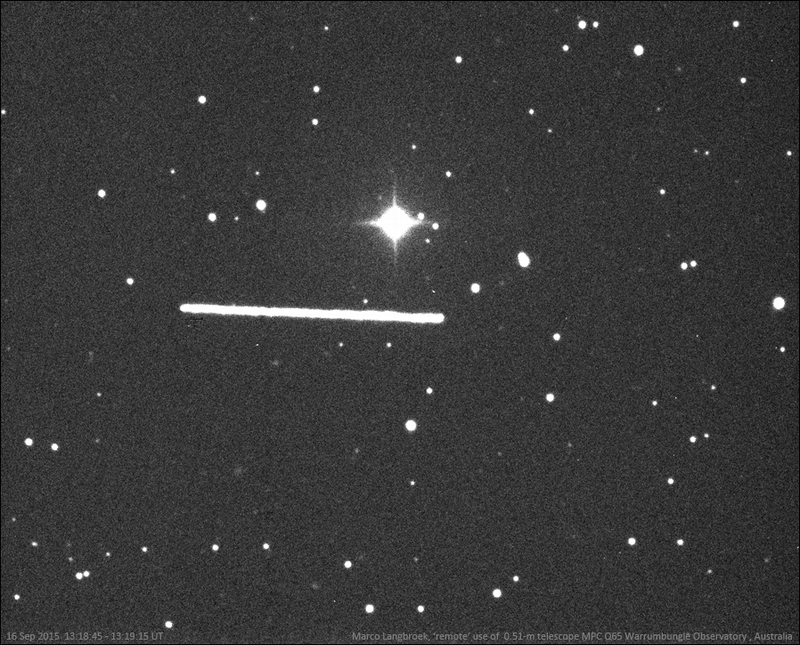 At left in the image above is a double trail of the classified NOSS 3-4 duo (2007-027 A & C). In the middle is an old Delta 1 rocket booster (78-098B) with CAMEO on top, an earth magnetosphere experiment from 1978. 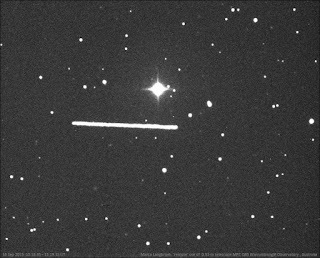 At right, the shortest trail, is the enigmatic classified object we call the USA 144 Decoy. I have written about this enigmatic object before. 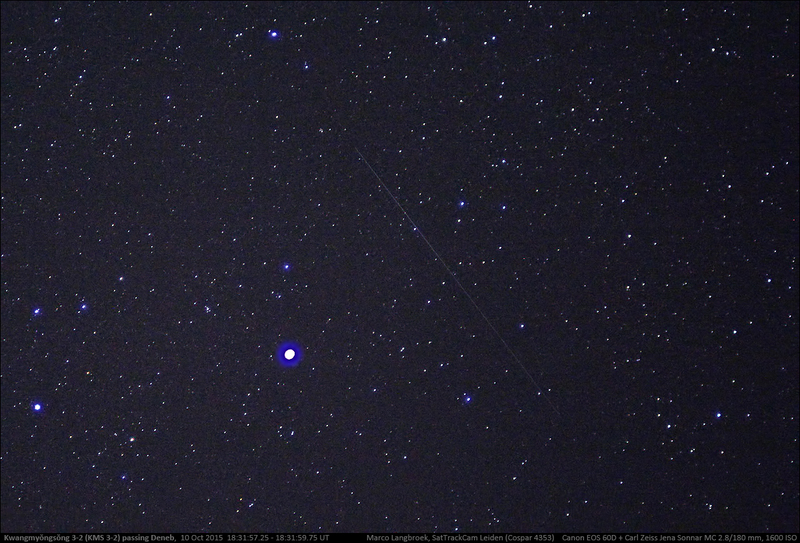 It is a bright object in a high 2665 x 3155 km orbit originating from the Misty 2 Stealth satellite launch in 1999. 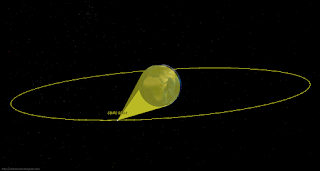 From a study of its orbital behaviour, Ted Molczan found that the orbital decay of this object is notably influenced by Solar Radiation Pressure (SRP). This suggests an object that is very "light" relative to its size, i.e. an object with a large area-to-mass ratio. This does not fit a normal payload, so we suspect that this relatively bright object might have been a decoy to attract attention away from the real, stealth payload. The USA 144 Decoy is slowly tumbling, resulting in a clear brightness variation. Ted already noted that the period of this variation changes over time, sometimes increasing, sometimes decreasing. 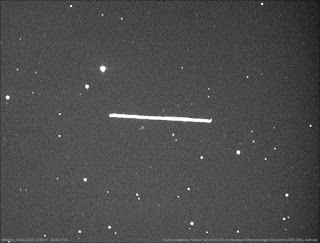 This is in line with the tumbling behaviour of other known objects subject to SRP (like fragments of the PAGEOS balloon satellites). 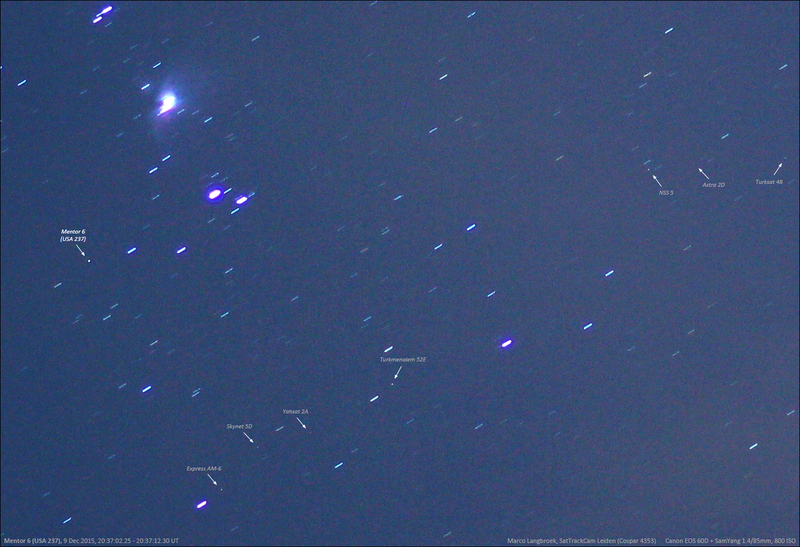 I took a series of images between 20:19:42 UT and 20:26:12 UT (20 Sep 2015) documenting the brightness variability. 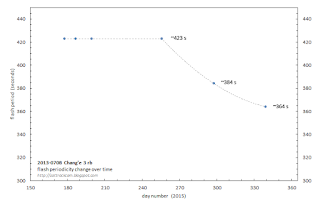 The curve fits a peak-to-peak period of about 50.5 ± 0.5 seconds (see diagram above). There is clearly much variation in amplitude peak-to-peak. 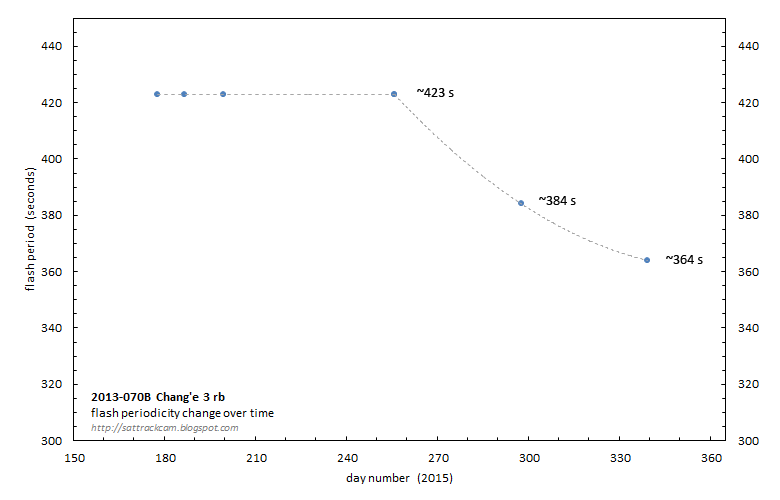 This variation of the period over time is in line with expectations for an SRP-influenced object like this. In July-August this year I visited Indonesia, travelling around on the island of Sulawesi and briefly stopping over on Bali on the way back to the Netherlands. It was a special trip, in which I searched for and found the house where my grandparents and father once lived, visited archaeological sites, and in general got to see wonderful things and got to meet wonderful people. 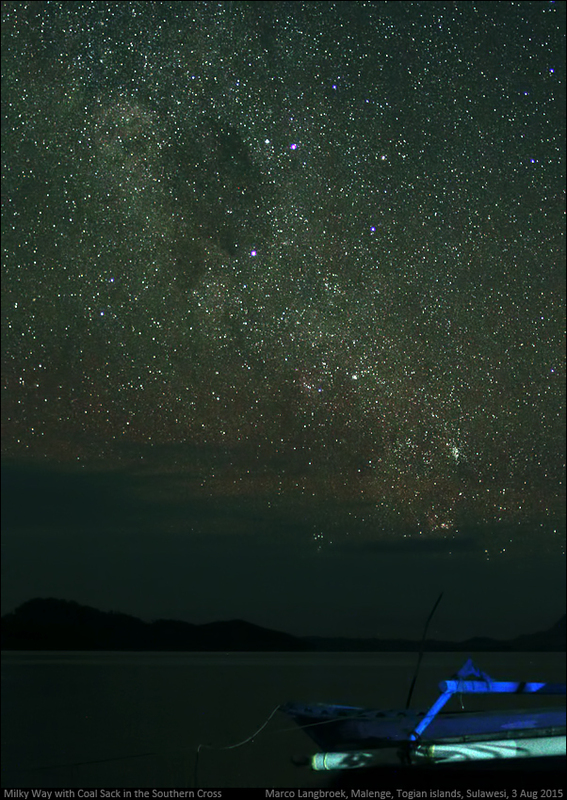 One of the wonderful things was the night sky - especially at the Togian islands between North and central Sulawesi. 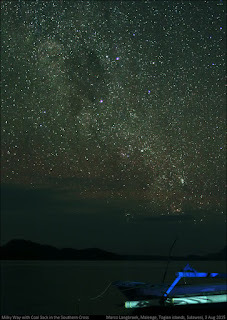 A splendid Milky-Way from horizon to horizon (image above), the zodiacal light (image below), and my first good view of the Southern Cross (second image below). 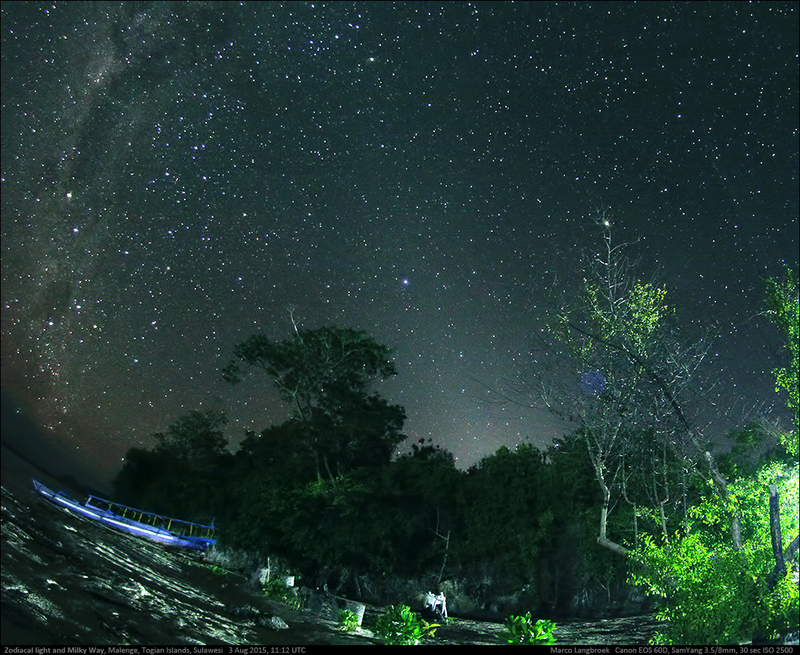 During the stop-over on Bali, I did some limited satellite observations. Geostationary objects that are never visible from the Netherlands and which I normally only get to image using a 'remote' telescope, were the focus. Unfortunately, the lens I had intended for that purpose, my EF 2.8/100 mm Macro USM, turned out to have been damaged during the trip, to the point that it had become optically clearly faulty. I therefore had to use a decidedly less suited lens, my EF 4.0-5.6/70-300 mm telezoom. 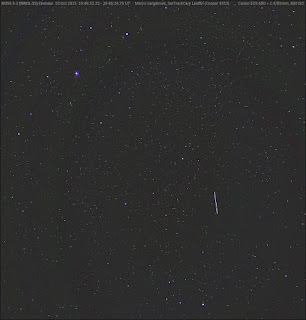 As a result, only the brightest geostationary objects did register. 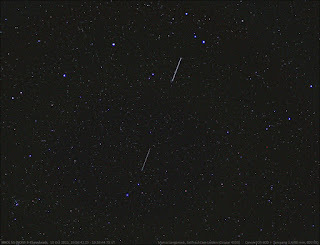 Among the objects that did register were the SDS satellites USA 227 (2011-011A) and USA 155 (2000-080A), the Mentor 2 r/b (1998-029B), and two objects that initially were UNIDS although one of them could later be identified. 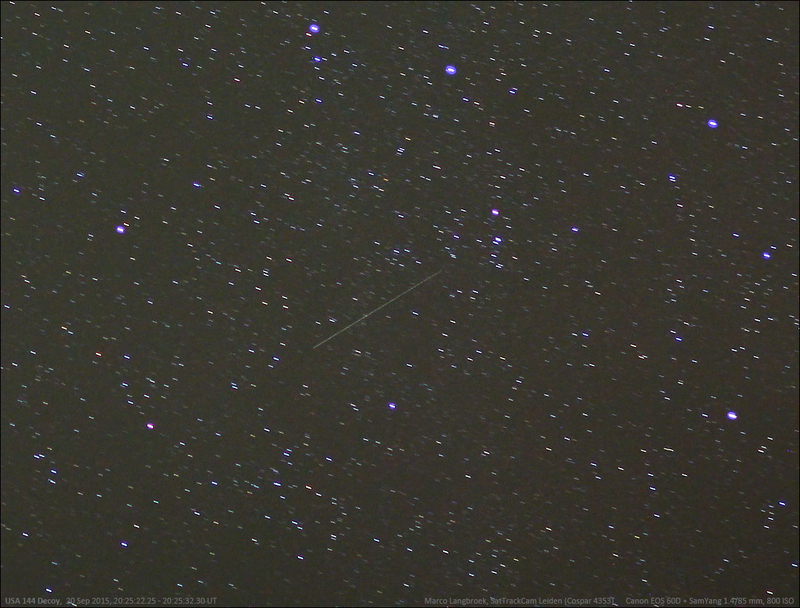 The first one was a bright object just north of USA 155, which I earlier had also imaged using a 'remote' telescope. It almost certainly is the communication satellite Milstar 4. 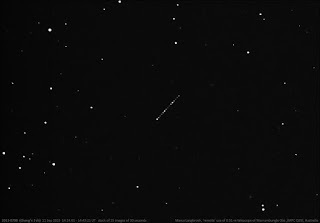 The second UNID was an object in an 7.8 degree inclined GTO orbit that was clearly trailing in the 30 second exposures (see image below). It does not match any known object. 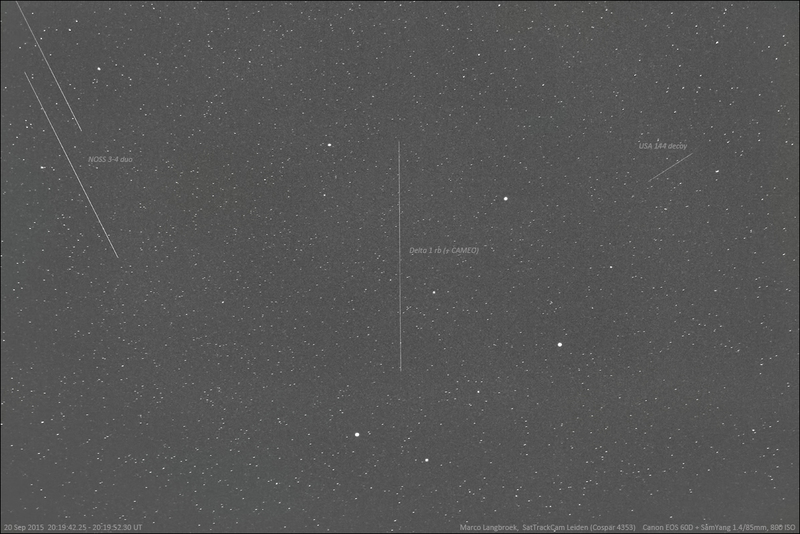 Astrometry and a very approximate orbit for this object are here.